The drake in the photo is one of the two who are currently for sale. Check back in the late spring to purchase ducklings and eggs. 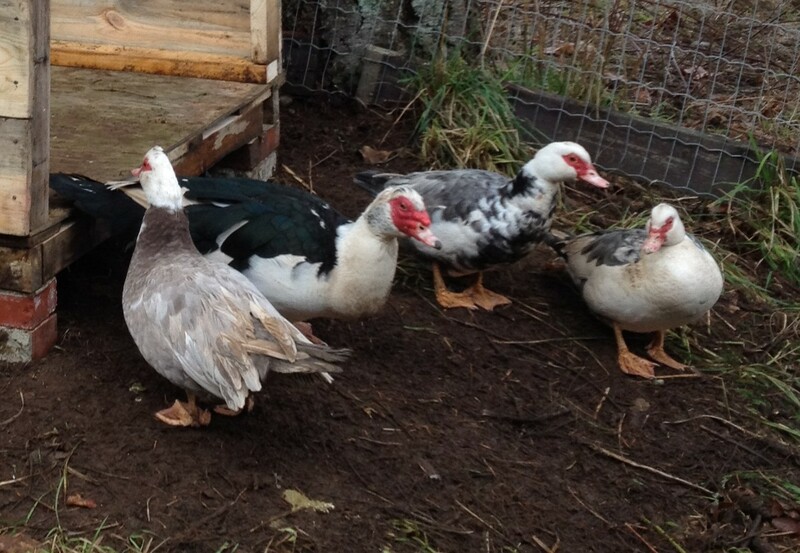 Muscovy ducks might just be the perfect duck for backyards and small homesteads. Quiet and friendly, they tend to stay put and not fly off, are wonderful mothers, and produce tasty duck eggs. Muscovy duck meat isn’t fatty like other duck breeds. At the moment we have two muscovy drakes for sale. One is six months old and black and the other is black and white and three years old. $20 each. Now taking orders for ducklings in 2012. Drop us a line and let us know what you are looking for. A funky, but informative site featuring muscovies. General information about muscovy ducks from Wikipedia.